If your business offers take-out or delivery, then you need an easy and reliable way to package orders, and our chicken boxes are a great choice. Also referred to as take-out boxes, barn boxes, and lunch boxes, chicken boxes aren’t just for chicken; their paperboard construction makes them great for sandwiches, fries, baked goods, and even entire meals! They come in 3 main styles, each with a different closure mechanism. First, there’s barn style, sometimes known as a gable box. The top slopes upwards on each side, interlocking and forming ’gables’ to securely shut the box. The top also forms a handle, which makes it easy to carry the box. This is great for carry out applications. Barn style boxes are also taller than other styles, allowing for more room to accommodate whole meals. The second style is fast top. Unlike barn style, this design is flat on top. This makes it perfect for stacking. The top and the ends fold down and then pop open for fast and easy access. The third most common closure style is the tuck top. While also flat, the tuck top is made of 3 separate flaps. When closed, the large flap reaches over to the other side where it tucks inside the box. For food service operations, it’s great for a variety of take-out orders, especially salads and pre-assembled meals for schools. Whether used for wings, fries, or salads, chicken boxes are great for all take-out applications. With the right style, you can package and deliver orders with maximum efficiency and convenience. Available in a variety of closure styles, chicken boxes are sure to transport meals safely and securely. Check out this video to learn more the different styles, and determine which one is best for your business! 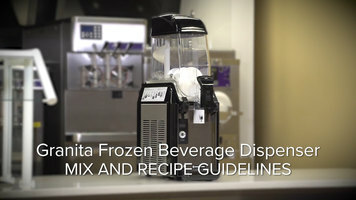 Learn the guidelines for creating slush or cold drink mixes for your Vollrath unit! By following the steps outlined in the video, you can ensure a professional final product and ease of use. Lodge cast iron is the perfect way to sear chicken, fish, and more! 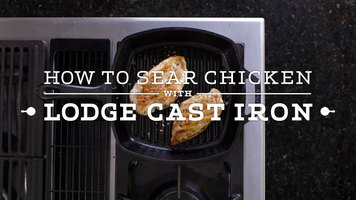 Watch this video for instructions on how to brine, prep, and cook chicken using a cast iron pan from Lodge. Upgrade your kitchen with the versatile Winston Collectramatic pressure fryer! 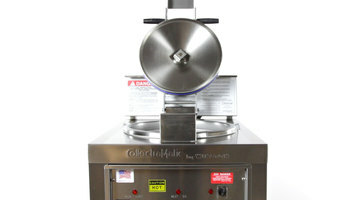 Check out this short video to see the fryer in action.